The Montreal International Reggae Festival (MIRF) returns to the Quays of The Old Port with a slate of renowned artists who carry on the legacy of Caribbean music. Original Wailers member, Bunny Wailer, makes his long awaited Montreal appearance at this seventh staging of what has become a tradition for Reggae music supporters from around the world. Beginning late summer, the festival rolls out at a new time frame: August 6, 7 and 8, 2010. Fusing Reggae with Calypso and Soca rhythms, MIRF’s opening night will be a celebration of Caribbean music. Confirmed artists for “Caribbean Night” include Jamaica’s Byron Lee’s Dragonnaires, whose recent golden anniversary brought light to a custom of them literally bringing Caribbean music around the world; including annual stints at Montreal’s former Edgewater Hotel. Lyrically adept Baby Cham, whose internationally acclaimed collaborations with Rihanna and Alicia Keys have included the hits “Boom Boom” and “Ghetto Story” will join other first rate deejays like, Mr. Vegas Sustain and Little John. 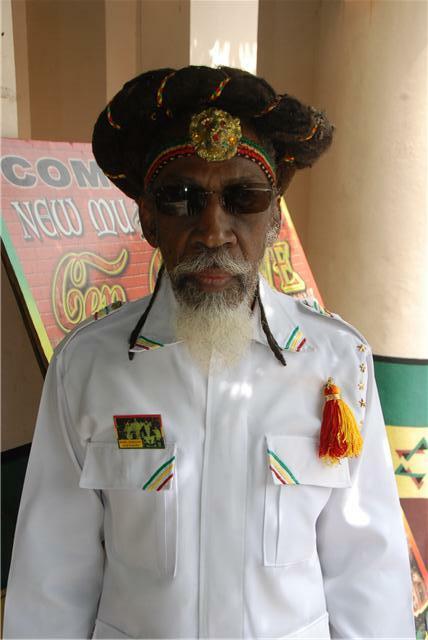 Bunny Wailer who, along with Peter Tosh and Bob Marley, was a major player in initiating what is now a global fascination for the “up beat one drop” sound of Reggae music, will bring his wise words and vintage rhythms to the final night of MIRF. This “Vintage Night” will also feature Reggae music heavyweights Leroy Gibbons, Frankie Paul, Peter Tosh’s son Tosh1 and Tony Gits.